This year, the Akron Mini Maker Faire took place at the Main Library of the Akron-Summit County Public Library (@AkronLibrary) on Saturday, September 22, 2018. This was earlier in the year than it normally takes place. Stuart had planned to be out of town in September 2018, but a change in plans brought him home early, allowing us both to attend the Sixth Annual Akron Mini Maker Faire! Stuart has attended all six years. Join us for the Akron Mini Maker Faire this Saturday, September 22, noon to 4 at the Akron Main Library! Attendance is free. Our @sos_jr tweets and retweets below show some of what we and others experienced at the Akron Mini Maker Faire. We hope they give you some insight into what these Makers do, but to learn more, you need to attend the next Akron Mini Maker Faire and talk to the Makers directly. Talking to the FTC (FIRST Tech Challenge) Team #8581 Ædificatores (@kss_ftc_8581 - @FIRSTweets), we learned an interesting development this past year. They have expanded to form a second program area. Last year, as we wrote in our Akron Mini Maker Faire blog post, we learned from the members that Team #8581 Ædificatores is a nonprofit organization serving teenagers in their community, and thus are not affiliated with a particular high school, like most competitive robotics teams. This independent status has allowed them to expand their program. Over several years of attending the Akron Mini Maker Faire at the Akron-Summit County Public Library, we have seen the great expansion of the Main Library's TechZone@Main (3D printer, laser engraver, vinyl printer, green screen, button maker, sewing machine:, and much more -- click here to see details), and Microbusiness Center (resources for established business owners, entrepreneurs and students). This year, they featured many of their services at the event. Go to the Library to learn more about these resources as well as their computer training. TinyCircuits (@TinyCircuits), as an Akron-based developer of tiny open source electronics, is always a must-see at at this and other Maker events. This year, they showed us some new products, and also shared prototypes for potential products -- see photos in the tweets. We learned from Manufacturing Supervisor Dave Kearns (@DaveK0101), to watch their TinyCircuits.com product web page and @TinyCircuits Twitter announcements of new developments. Dave also let us know that TinyCircuits products can be found at Akron's Northside Marketplace (@Northside_Mp) -- a retail incubator for Akron area’s best startups, supported by the Knight Foundation (@knightfdn) and local business leaders. Rubber City Prints (@RubberCTPrints) is a fine art printshop (501)(c)(3) non-profit organization located in downtown Akron. In addition to providing facilities for local artists, they also make their facilities available to host art parties and courses in fine arts techniques. See the Rubber City Prints Facebook Events page for how to sign up for Open Studio Mondays (Painting, Drawing, Printmaking, Scultpure, Writing), INK and DRINK Art Nights, and Fine Art Fridays. Please retweet the tweets that interest you, so more people can learn about these great Akron area Makers! Check out @techlaneâ€™s @Raspberry_Pi demo booth at the #Akron #Library â€” @AkronLibraryâ€™s #AkronMiniMakerFaire! #Drone programmed by @techlane to use @Raspberry_Pi to follow Python program commands. More #robots at the #Akron #Library Mini #Maker Faire â€” @AkronLibraryâ€™s #AkronMiniMakerFaire! @UAkronRobotics team from @Uakron. They compete at #NASA event with a mining #robot. â€œAkronâ€™s educational #FineArts #Print Shopâ€ - @RubberCTPrints. Just learned that trepanning doesn't refer to a hole being made into the skull - it's really a method of drilling through any substance by cutting only around the perimeter. Now we have to call ourselves "The Brain Case Access Team." Marble fun in @DowntownAkron behind the @AkronLibrary! #Marble fun in @DowntownAkron behind the @AkronLibrary!
. @1dan, no I did not see the infrared camera prototype while at @Akronlibrary Mini #Maker Faire. Very cool! Thx for sharing!! Thanks @DaveK0101. I took a look at @northside_mp website to learn more about all the #Akron vendors in this space: https://t.co/vP6tkCJ5Qd Interesting to see the support of the @knightfdn. more great tiny things coming real soon! Here is a list of participants from the official 2018 Akron Mini Maker Faire Makers & Exhibits web page! It is so impressive to see the full list of organizations and creative individuals who participated -- such a wealth of knowledge represented! 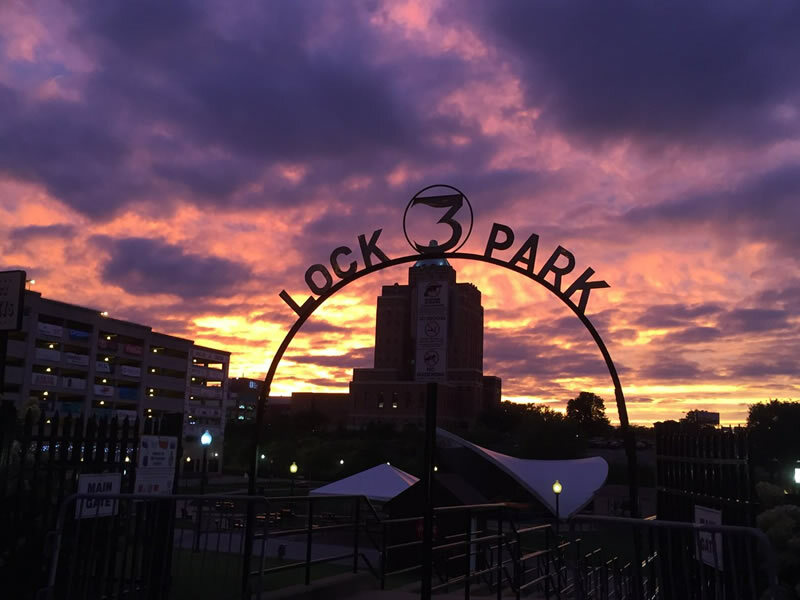 After the Akron-Summit County Public Library (@AkronLibrary) Sixth Annual Akron Mini Maker Faire, we decided to stay in downtown Akron (@DowntownAkron) for dinner, and to explore some of the new developments we had read about on Twitter at Lock 3 Akron (@Lock3Akron). In addition to seeing the "Lock Next" monster, food stand, play area, and other capital improvements "to encourage people to linger longer at the Main Street park." Please share any of the following @sos_jr tweets and retweets that interest you by retweeting them. Retweeting is a great way to spread the word about this fun area in Akron. Very nice @DowntownAkron, @Knightfdn and @AkronOhioMayor! #DowntownAkron's latest space lift project to be unveiled Sept. 20 from 4:30-7 p.m at Lock 3. #LockNext enhancements include seating, food and drink, and interactive features. Blog Date: November 8, 2017 - Maximum Fun at Mini Maker Faire 2017 - Cleveland's 5th Annual! Blog Date: October 29, 2014 - Robots & Makers in Akron -- Oh, My! It was great talking to all the makers and creative people at the 2018 Faire! I am looking forward to not only the 2019 Akron Public Library Mini Maker Faire, but also the 2018 Cleveland Public Library Cleveland Mini Maker Faire, which will return for its sixth year on Saturday, November 3, 2018! Our sons will have a booth at Cleveland's Faire this year, featuring their tabletop game, PerMUTATIONS (@PermutationGame).